Kendal "a la Chef" hits the kitchen and it's salads for me this week or my suit won't fit on Saturday. Cooking with Kendal "a la Chef"
Today I made a salad. haha haha. Kendal "a la Chef" hits the kitchen and knocks up some culinary delights. It's going to have to be salads for me this week or my suit won't fit on Saturday. Haha haha. Thanks for reading and thanks again for supporting #Promo-Steem and The London Cryptocurrency Show. Hiii Sir @stephenkendal amazed to see your food photography of Salad and others. Salad is my weakness, I Love fresh Salad and used daily. Best wishes for #londoncryptocurrencyshow. Always appriciate and Support your Efforts for #promo-steem. Love you Brand Ambassador of Steem. Well as for me , I made some Spicy 🌶 noddles with fried egg 🍳 which I failed to take a picture of, it just occurred to me seeing your picture that I ought to have took a picture of the lunch I made for myself. It will must be servings of mixed greens for me this week or my suit won't fit on Saturday. It's going to have to be salads for me this week or my suit won't fit on Saturday. Hahaha.. Gotta have @starkerz changing the diet too. Anyway salads are a great supplement for the diet to keep our body organs in shape. Wow that’s amazing look so delicious and healthy too..you are multi talented @stephenkendal .well done a la chef. astonished to see your sustenance photography of Salad and others. Serving of mixed greens is my shortcoming, I Love crisp Salad and utilized day by day. All the best for #londoncryptocurrencyshow. Continuously appriciate and Support your Efforts for #promo-steem. Sir you are not only a busy man but also you are a chef haha. Handmade food is the best food and i think you enjoy the salad. It's looks very delicious. I laugh while reading your post. I wish you good health always. your future task is huge. Its good to read such posts. I was not contemplated your this shocking capacity @stephenkendal a la culinary master. it's the right choice to strong and fit for rest of our life. genuinely looks so grand and sound also. It will must be plates of mixed greens for me this week or my suit won't fit on Saturday. Hahaha.. Gotta have @starkerz changing the eating regimen as well. In any case plates of mixed greens are an incredible supplement for the eating regimen to keep our body organs fit as a fiddle. Wow..The salad is looks so yammy..wish i can taste it.I like salad very much.And when it is made by you offcourse it was tasty.Eating salad is very good for health.And don't worry.You are already handsome sir @stephenkendal. I support #Promo-Steem and waiting for The London Cryptocurrency Show. @stephenkendal you are is the best. Clever in crytocurresy and campaigh.clever in the cooking. menu Makana very mengguga tastes, post your good friend @stephenkendal,and I am very proud of your friends. Best combo, i mean eating and loosing. Do you have an extra plate sir? This look so good, chef!. Hahaha don't worry, the suit will fit. The suit would be tailored made for you. You are always looking good sir. 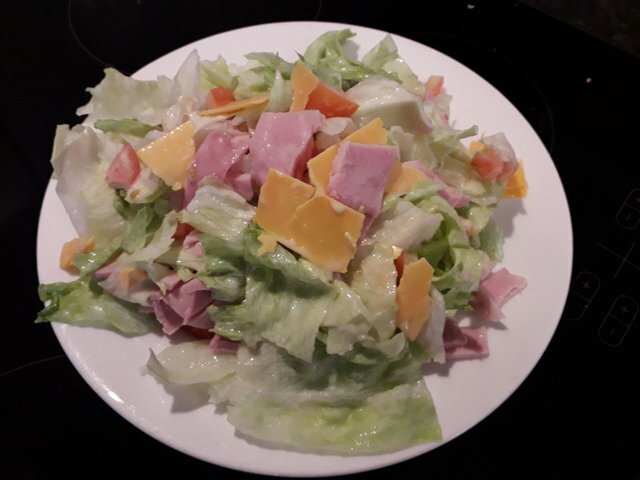 Salad is perfect for diet, a very delicious plate of salad full of nutrition. How delicious is this salad? Wow just amazing sir to see such posts from you,hope you had a great time. If in my country the name is Gado-gado. I really like the Gado-gado. 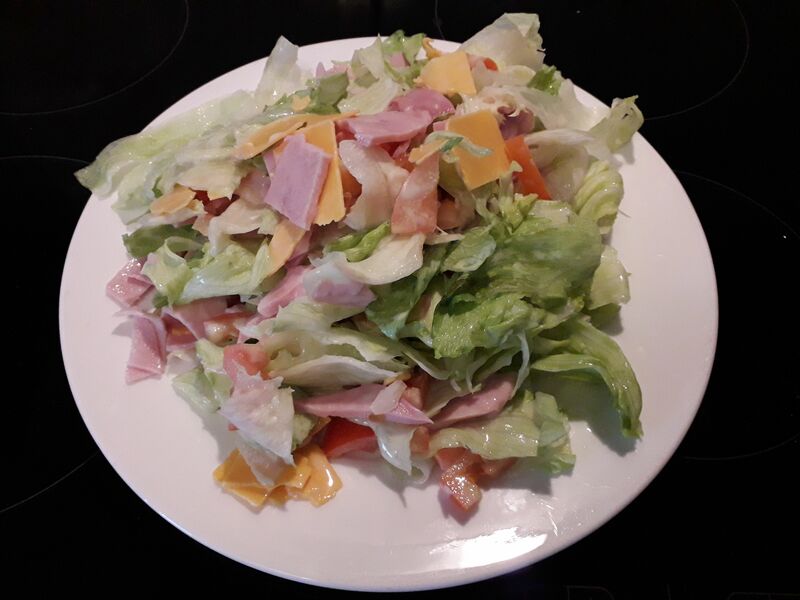 I really like to see this salad it seems this food is very tasty and delicious and I also want to taste it @stephenkendal it is amazing we can take a positive example of @stephenkendal because the expertise is extraordinary This should be a salad for me this week or I will not be connected on Saturday. Ha ha ha ha. Food is not just a dish that will end in the stomach, but an adventure that should be enjoyed and appreciated.